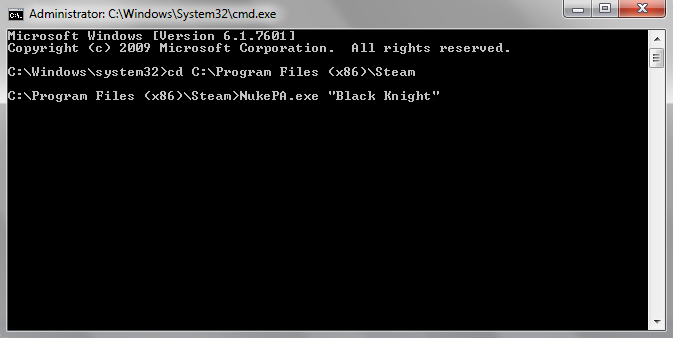 New NukeLauncher for Pinball Arcade - NukePA is the only reliable Pinball Arcade command line launcher. Make sure you have quotes around the [TABLEFILE] variable, see below this is how your PinballX.ini should look. I have put some work into making it really easy to setup your tables. Below are sets of XML files you can download and save into your C:\PinballX\Databases\Pinball Arcade\Pinball Arcade.xml location and matching "PinballTables = " values you can copy and paste directly into your NukePA.ini file. Also if you are using the NukePA Media Pack everything matches up. Note to anyone that is using the NukePA Media Pack you should rename all the images for "Theater of Magic" to "Theatre of Magic"
Some web browsers want to open XML files instead of downloading them, so to get around that just right click on the link and select "Save As" or "Save Target as" then pick the folder "C:\PinballX\Databases\Pinball Arcade\" and then rename the file "Pinball Arcade.XML"
Full documentation is on the NukeLauncher Site. Donation made for the good work on the Pinball FX2 launcher. I don't really use TPA myself. The PinballX FTP has a pretty extensive list of wheel images for TPA. TPA does not have good cabinet support - there is no dedicated DMD or backglass. I've tried using PinballX's backglass player to play a video loop while a table is in play, but it did not work for me. The BG screen was black while in play. Yes, I do have the XML set to not hide the backglass, so it is not a PinballX issue. I figure this can be overcome somehow, but I didn't try very hard myself. For the DMD, here is where the mirroring that you were working on for P2k cabs in the Pinball FX2 launcher might come in handy. You could capture that part of the screen and have the user define the location for the playback window. This is similar to what I did for SlamIt Pinball: Big Score. I only have one table installed at the moment. For media, I just wound up taking the FarSight demo video for my table and rotating it and trimming for the correct aspect ratio in Avidemux. Not great. Kind of funky actually as the demo is for a desktop orientation. The lighting represents what is state of the art for PS4, and not what you currently get with Steam. But it's cheap and easy. Hopefully, someone will step up and do some real captures in portrait mode. Thanks for the info and link however, we wont need that. PinballX is all ready taking care of that for us. In my Alpha 1.0 version my back glass is already working great. I should have it ready for beta testing in the next 10 days. I am still working out a few bugs, Like table detection and table ordering. You can help out by sending me the version number you are using and a list of your table names? Can't wait to try the beta Jeff your FX2 was outstanding is today the big day? All most ready! I'm hoping to get more time on it this weekend. Not yet, I have gotten 0 response on my two questions and that is slowing things down a bit because, I have no idea what other peoples setups are like. 1. Can you all post the version number you are using and your table counts. This will help me know what my launcher will need to deal with as far as different configurations. 2. What are you guys planning on using for media. 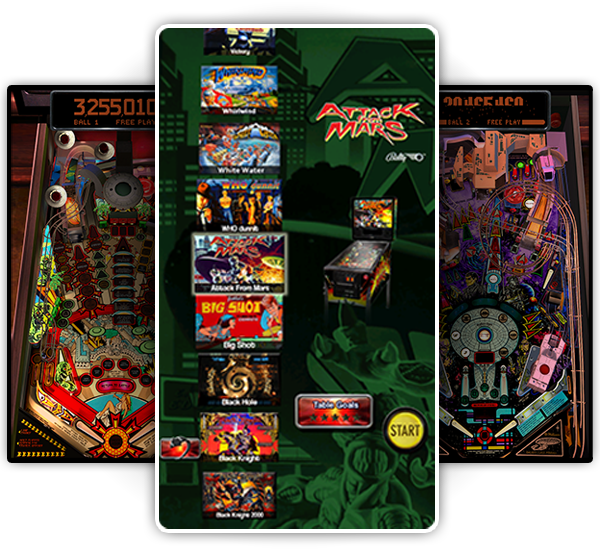 Most table logos and Backglass's can be obtained from VP tables or the FTP section here on PinballX, but play-field screenshots/videos and DMD videos for TPA version don't exist that I know of. 2. As far as the media I am not too concerned. I can find the media or create it myself. I am really more interested in the launcher to integrate with Hyperpin like I have done with PBFX2. Note: That being said the media you setup for PBFX2 was spot on!! Ditto to what newandy said as far as config. Latest steam version, all season passes so every table so far. For media, will just copy from VP version for now - including "real DMDs" attract modes. For table screenshots/videos I plan to just use any existing VP versions for now. Would be happy to help test things out! Thanks. I can use what pinballx supplies for art too, unless you put together a package, then I'll go with that. I'll be purchasing every table at once when you release the launcher, and I'll be using the latest version of TPA. Please make it soon my family is ready to choke me for not having a good solution for tpa, I don't know what their problem is, lol I'm guessing the sleepless nights for configuring our minipin I built. More donation coming soon... Great work on the fx2 nuke!!! Great development! Will definitely support your tool when working . Still playing around with FX2 and looking forward to start with Pinball Arcade. I'm really hoping for it to be ready soon, I have a ton of family wanting to play it at thanksgiving... Is there anything I can do to help ??? Time299, do you have any updates? I am launching in the next few days. I'm just finalizing the last few features like "block key" for you (Chosen_s) and a LaunchBefore and LaunchAfter feature for people wanting to use LEDWiz. BTW: Both of those features will be added to the next release of the PinballFX2 NukeLauncher as well. Please be patient with me, My Wife has terminal brain cancer (glioblastoma astrocytoma Grade 3-4) and she is already past the 24 months that she was expected to live. Some days I plain on working on this stuff, (which I love to do) but she needs me more, so I choose her over pinball stuff. I only mention this so you guy know why I may be missing from the forums for a whole week at a time or miss a deadline I set for finishing a project like this one. We have many medical appointment / scans / chemo / blood tests every week for the rest of her life, it's quite a juggling act. It's coming very soon and I hope it breaths new life into Pinball Arcade for all of you (I know I love it 10X more now that I have it setup in PinballX) and maybe we can get the guys over at Farsight Studios thinking more like the guys over at Zen Studios and give us DMD/Cabinet support. Thanks for sharing this. No problem at all. All the best for your wife and yourself. Wow man! You're a trooper, my best goes to you and your wife, thank you for letting us know. Dude take your time, I certainly agree, your wife is way more important than our fun and games. Looking forward to the release. Thank you for everything! Family comes first. Hang in there. All my best to you and your wife. As stated prior, family comes first! My best to you and your wife! You're an awesome dude and we appreciate your hard work. Thanks for all of your hard work. Nukelauncher is working great for me with PBFX2, I'm excited to see what it does for TPA too. Everyone is right though, family is first...take care. Thanks for all of the support, It's almost ready. Had some buddies over tonight for a few beers and minipin madness. The consensus was that pinball arcade plays better than the free programs. They stayed in pinball arcade quite a bit longer once they had decided that fp and vp were either too fast or not bug free, or not as polished. So ... Cheers to the nukelauncher version for pinball arcade releasing soon!